Jaguar and Land Rover sale confirmed | What Car? Ford has confirmed the sale of its Jaguar and Land Rover brands to Tata Motors. Tata, India's leading car maker, has been in talks with Ford since last year, and has spent $2.3 billion (about 1.1 billion) buying the luxury brands. The sale includes a pledge by Ford to contribute $600 million (around 300 million) to the pension fund for workers at Jaguar and Land Rover and a commitment by Tata to continue buying engines, powertrains and other vehicle components from Ford. In addition, Ford Motor Credit will continue to provide financing for Jaguar and Land Rover dealers and customers during a transitional period of up to 12 months. Tata is best known for launching the Nano earlier this year, which costs less than 1300 in India, as well as for selling trucks and functional passenger cars. This has raised questions about how the company will integrate luxury brands into its line-up, but company boss Ratan Tata has already pledged that he will not devalue the brands, or move them away from their traditional base in Britain. 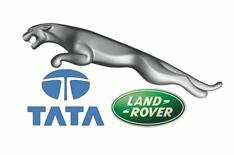 'We are very pleased at the prospect of Jaguar and Land Rover being a significant part of our automotive business,' said Tata. 'We have enormous respect for the two brands and will endeavor to preserve and build on their heritage and competitiveness, keeping their identities intact.